One of the largest projects involving SWMTU began in 2014. It’s called the Kent County Brook Trout Project, and is funded by the Grand Rapids Community Foundation, Plainfield Township, Schrems West Michigan Trout Unlimited, and City of Rockford. 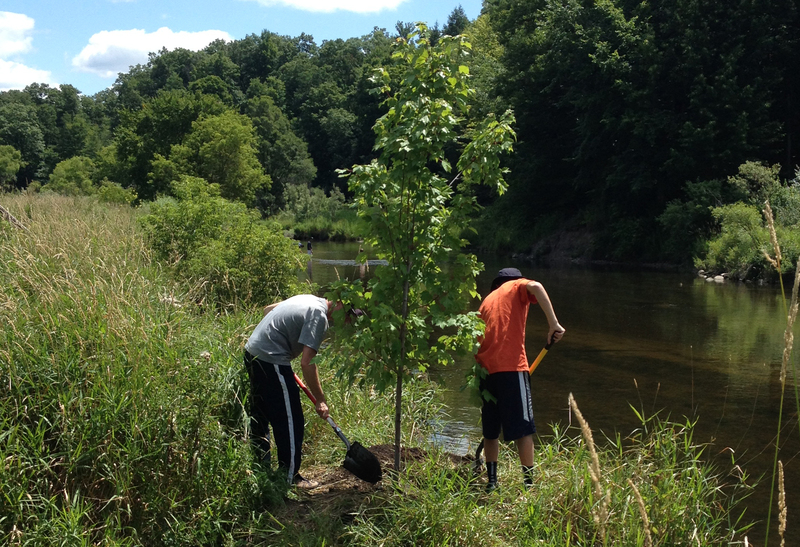 The first phase was $125,000, and covered projects in the Rogue River, Shaw Creek, Cedar Creek, and Blakeslee Creek. 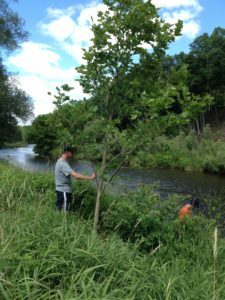 In Phase 1, Schrems TU members and the Home Rivers Intern started planting shade trees along the Rogue River upstream of the old paper plant location near Childsdale Avenue. 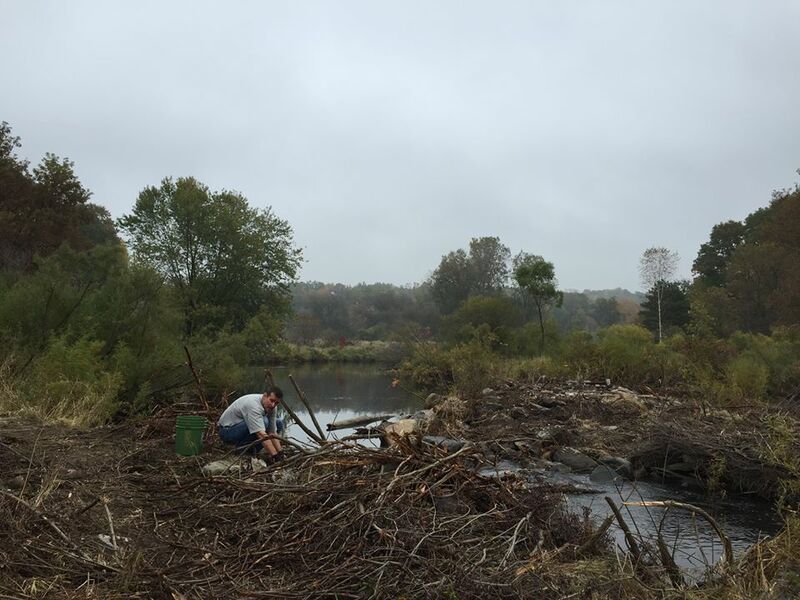 In July 2014 the Michigan DEQ visited the paper plant site to provide in-kind data recording before the in-stream work of removing concrete rubble left from the 1986 Childsdale Dam failure. That concrete rubble was removed in late September 2014. Phase 2 covered more work in Cedar Creek, as well as projects in Rum Creek, Stegman Creek, Shaw Creek, and Tyler Creek. 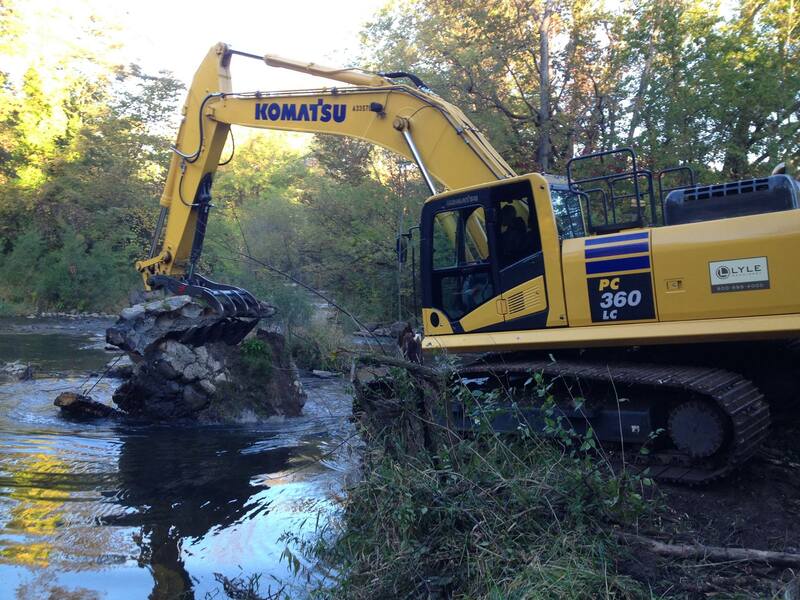 This included removing several small dams which were blocking fish passage in Blakelsee Creek. This four-year project cost $284,000 and is nearly done as of October 2018. 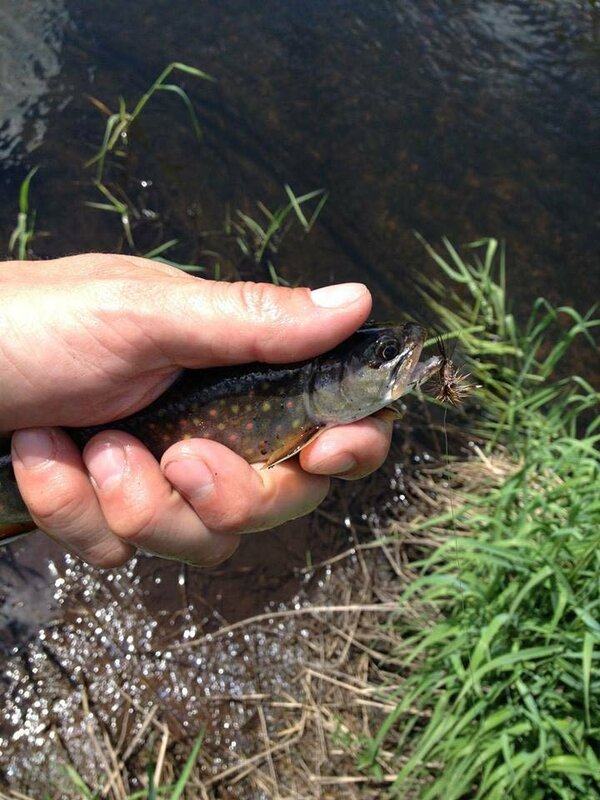 A telemetry study will tag trout and allow researchers to determine where water temperatures are best for brook trout. The grant allows SWMTU to fully-fund the on-going Brook Trout Project along five coldwater streams in West Michigan. This video shows work done installing wood structures and hydro-jettting posts to create pools and expose gravel for trout in Cedar Creek. Part of Schrems' Brook Trout Project is removal of the in-stream concrete rubble at the Childsdale paper plant site in the Rogue River. With some help from our project partners, we got the concrete out! One of the largest projects involving SWMTU is underway this summer with tree plantings along the Rogue River. Coming up is removal of concrete from the old Childsdale Dam.